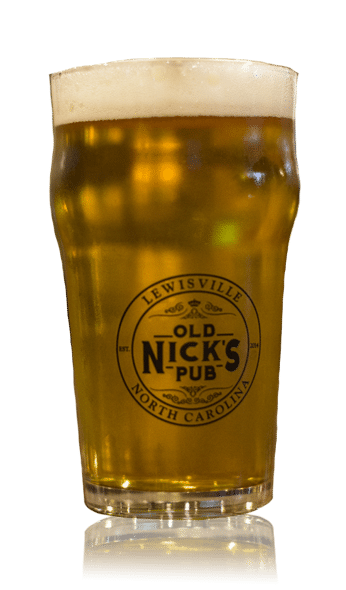 Since we opened our doors in 2014, Old Nick’s has become Lewisville’s gathering place. We seek to create a comfortable and accepting environment for every member of our community. 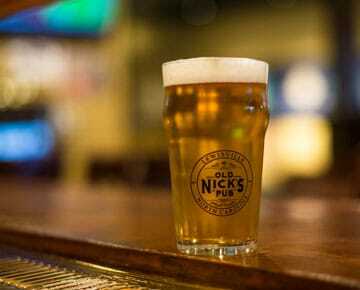 Old Nick’s Pub is a local bar celebrating our town’s rich history and friendly residential atmosphere. Come get to know your neighbors at Old Nick’s! We celebrate cooperation and community both inside and outside of the bar. Whether you’re local to Lewisville or you’re from Clemmons, Winston Salem, or Kernersville, we guarantee a trip out to our bar will be worth the drive! Come in and try one of the many craft beers we have on rotation! Our 10 taps are constantly changing but you can always find Guinness, Red Oak, and Highland Gaelic Ale on tap. We support local North Carolina breweries, although we feature beers from all across the country. 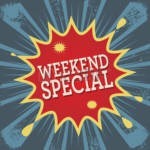 You’re in the mood for something special, new, or different. 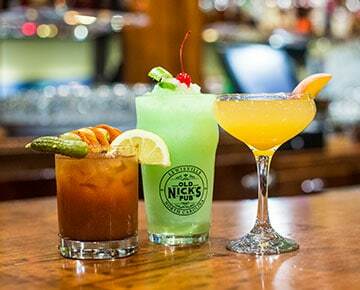 Come down to Old Nick’s and have a taste of one of our classic and inventive cocktails, crafted with the finest liquors. All of our cocktails are made with hand-squeezed juices, homemade syrups, fresh fruit, and mint and basil grown here on site. The 8 Ball Express Pool league plays at Old Nick’s weekly on Tuesdays. 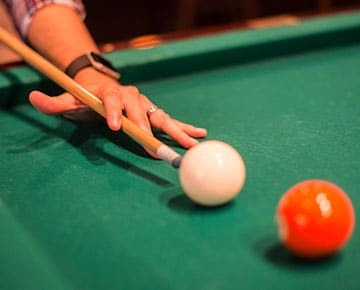 We also hold a member’s pool tournament on Thursday nights starting at 7:00 PM, open to the first 16 players. All are welcome! We carefully maintain our two 8 foot Brunswick pool tables by brushing every night and replacing the felt as needed (usually once a year) to keep our pool-playing patrons happy. Come enjoy a nice evening outdoors on our patio. 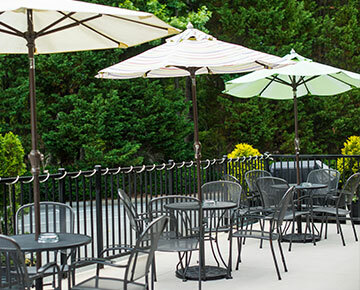 Our tables, benches, and umbrellas can accommodate all your friends, new and old! Warm yourself up around the heater in cold weather, or enjoy a cool breeze on a hot summer evening. Listen to the music on our outdoor speakers, or watch a live music performance outside on a clear night. 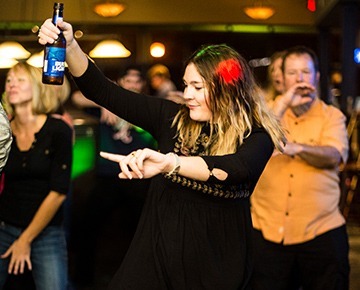 DJ Tyler Perkins keeps the party going strong with karaoke almost every weekend! You’re sure to find a song you love in his extensive library of music. If it’s your first time singing karaoke, you’ll be welcomed by an enthusiastic crowd cheering you on. The high end equipment, bright lights, and dance breaks will keep you entertained all night long. Who doesn’t love live music? We host every type of performer here at Old Nick’s to appeal to every listener. 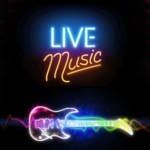 Enjoy a pleasant, quiet show from an acoustic musicians on alternate Thursday nights, or let loose and dance the night away to pop and classic rock bands. 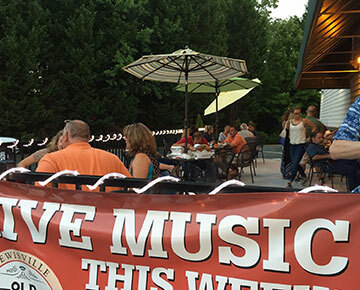 Our live music shows are always free – you’ll never have to pay a cover charge here. 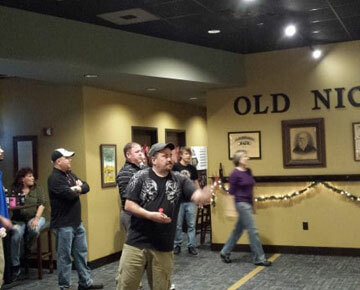 If you like throwing darts, you’ll love hanging out at Old Nick’s. League players and new players alike love our boards, which we replace frequently so you have the best darts game you can. Ask the bartender for a set of house darts and have a blast with everyone else, no matter what your experience level is. 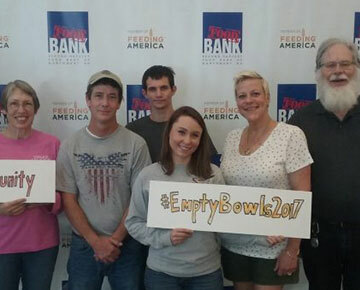 We believe in supporting our community, which includes giving to the charities that work hard to make our community here in the Triad better every day. 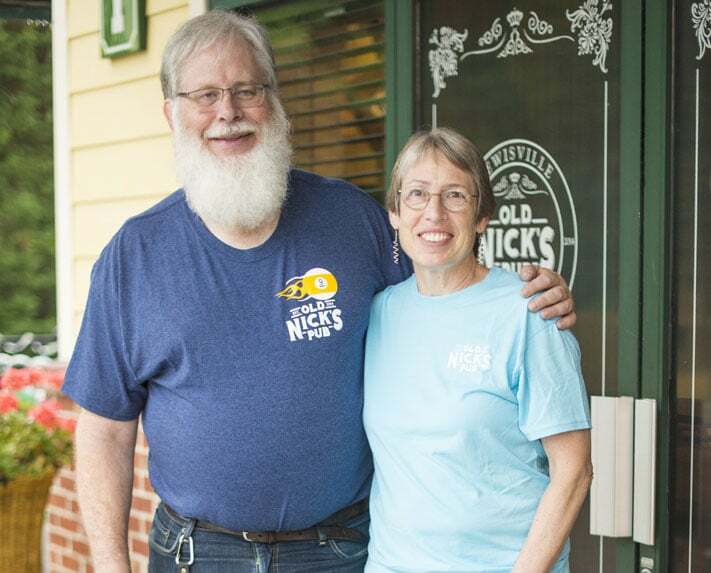 Jennifer and Norman founded Old Nick’s Pub to be a comfortable gathering place for the Lewisville community. They believe we can enjoy each other’s company and connect with one another when we get know each other better. They want everyone at Old Nick’s to get along and have fun. They both wanted to create a Lewisville bar where you can have fun. And so, Old Nick’s Pub was born! Norman is always happy to help someone learn how to play pool (or get better!) and Jennifer is frequently encouraging new darters to play. They strive to create a positive environment for customers and employees; a place where everyone is respected and accepted for who they are. When she’s not at Old Nick’s, you can find Jennifer in yoga class or taking her pup to the dog park. Norman likes to read, teach math, and has been trying to get back in shape (he once was an avid bike rider). Even when he’s not working, you can find him hanging out at Old Nick’s Pub playing pool! Dana has worked in the bar industry for 20+ years in various venues in Winston Salem. She’s known for having a kind disposition and treating everyone fairly. 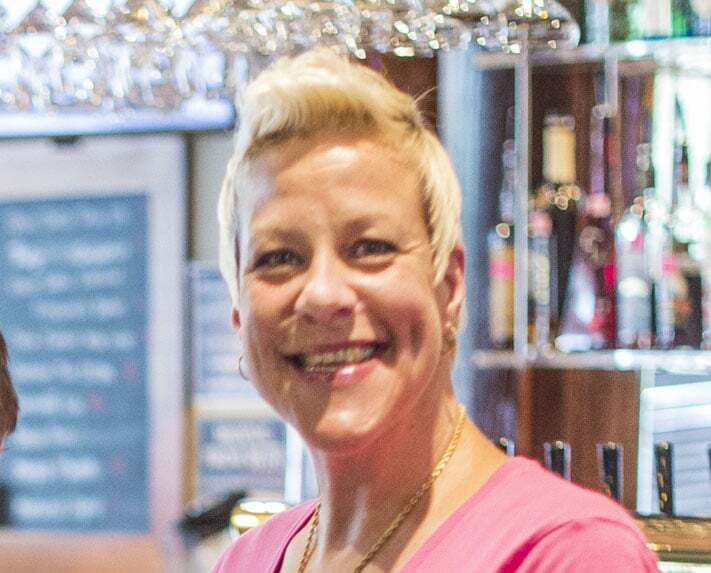 She loves maintaining a fun, hospitable bar and bringing a smile to every patron’s face. She always has a suggestion on what beverage you should try. She makes sure you have a memorable time and keeps you coming back. Dana is excited to go to work every day, where she gets to see the returning faces of her regulars night after night. Her goal is to make sure Old Nick’s guests know they have a safe, friendly, fun place to come be themselves. Dana and her husband have been in a dart league together for 20+ years. They really enjoy the camaraderie of hanging out with their fellow players.